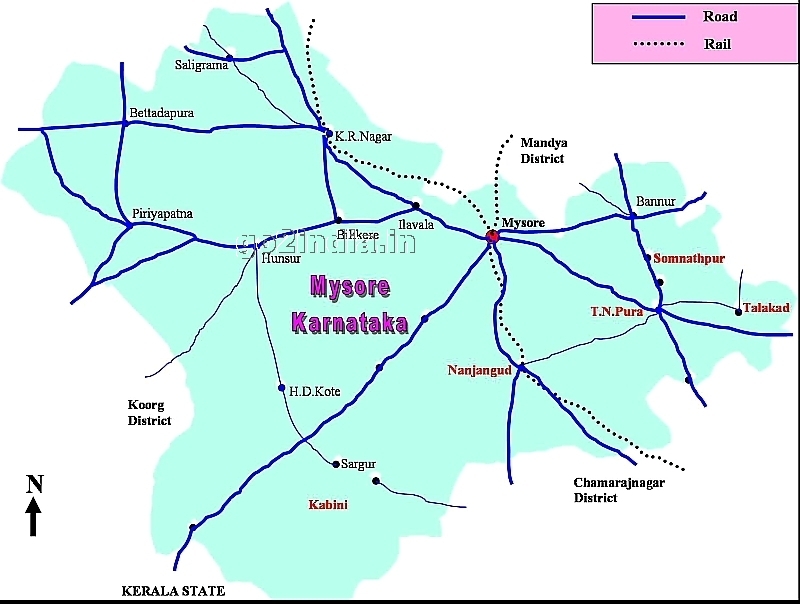 Mysore is 140 Kms from Bangalore ( capital of Karnataka) is well connected by rail and road. By road it will not take more than 2 and half hours from Bangalore and two hours by rail. Road travel is comfortable as four lane national highway is connecting both the cities. 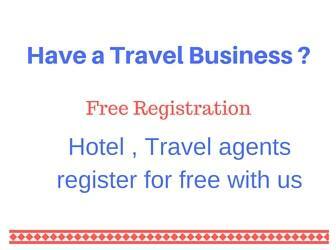 There are many hotels available but in busy seasons like Dasara festivals it is better to book in advance. You can see our list of hotels at Mysore. We had a comfortable stay for two days at Hotel Ramanashree. Mysore is famous for its silk and sandalwood items. You can visit Kaveri emporiums for Karnataka handicrafts and silk clothes. Mysore Silk Sarees are very famous. Mysore Dasara is world famous which is celeberated during Navarathri festival (September - October). You Must visit if you are a painting or art lover. You can see the art work of Raja Ravi Verma here. You can also see the Mysore gold leaf style of painting. Paintings of 1875 is available here for visitors to see. The gallery has three floors and you must visit all the floors. You can see some traditional dresses and accessories of medieval India. Photography is not allowed inside and you can deposit the cameras at the entrance of the Gallery. Check the timings and holidays of the Gallery before visiting, on the day of our visit it was open up to 5 PM. 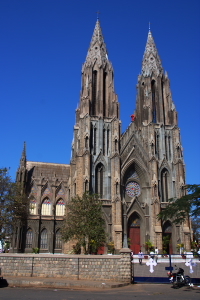 Located at a central place of the Mysore city is famous for its architecture and beautiful design. In a painting inside Mysore palace one can see the picture of the Church along with the King on his city visit. You can see the beautiful color glass used inside the church. Cameras are not allowed inside the Church. 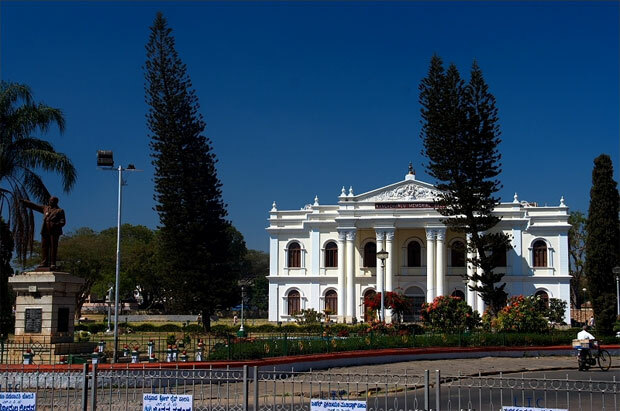 is the main attraction of Mysore. Mysore is known for the palaces and called as City of Palaces. 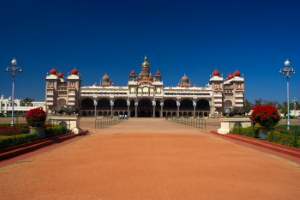 Mysore Palace is situated at the center of the city. is a holiday picnic spot. The zoo is closed on Tuesday. The zoo is within the city premises and nearer to Mysore race course. (belongs to Mandya district, 15 kms from Mysore towards Bangalore). 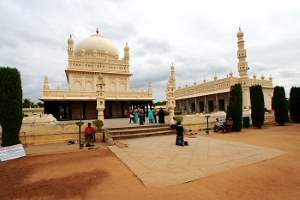 Temple of Lord Sri Ranganatha, Tipu's palace, Dariya Daulat Bagh, Gumbaz can be seen in this place. is located at the out skirts of Mysore town and 12 Kms from the city. 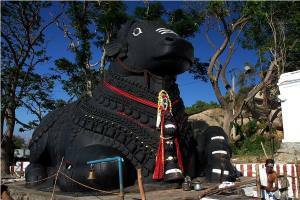 Chamundeswari Devi temple, Statues of Nandi (bull) and Mahishasura can be seen. (belongs to Mandya district) is situated 13 kms from Mysore. This place is on the banks of river Kaveri and famous for migratory birds. Best season to visit is from June to October. also called Brindavan Gardens or KRS is a picnic spot. Dancing fountain during evening is the main attraction. This place belongs to Mandya district and is 15 kms from Mysore. The dam is constructed on the river Kaveri. People prefer to stay in Mysore to visit KRS as it is nearer. 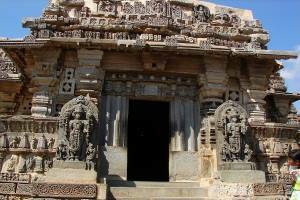 famous for Hoysala temple, is located at a distance of 35Kms from Mysore. 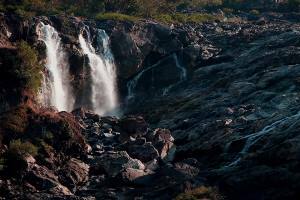 also called Shimsa (belongs to Mandya district and also called Bluff) is famous for waterfalls named Gaganchukki and Bharachukki and at a distance of 70 Kms from Mysore. This place has the distinction of starting first Hydro electric project in Asia. Temple of Ranganatha can be seen. is approximately 45Kms from Mysore and located at the banks of river Cauvery. The area is full of very fine sand and temples which are buried under the sand. 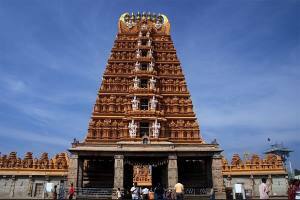 (belongs to Chamarajanagar district) is a famous pilgrim centre and is situated at a distance of 130Kms from Mysore. A water stream called Antharagange and Mahadeswara temple are the main attraction of this place. (belongs to Chamarajanagar district), popularly known as BR Hills is situated at a distance of 80Kms from Mysore. Ranganatha swamy temple, Champaka tree (100 years old) and the wild life on the way to the hill top are the main attractions. (belongs to Chamarajanagar district) is a Tiger reserve and is 80Kms from Mysore on Mysore Ooty road. The project Tiger has been launched by WWF to save the tiger. The forest area is in between Nagarhole (Karnataka) and Madhumalai (Tamilnadu) forests. is nearer to Bandipur. Temple of Himad Gopalaswamy is very famous place and is a hill station. (pilgrim place) is famous for lord Nanjundeswara temple (Shiva temple). This place is also called Dakshina Kashi. Nanjangud is at a distance of 20Kms from Mysore and on the banks of river Kabini. 55 kms from Mysore is famous for water falls of river Kaveri and Kodandarama temple. This place comes under Krishna Raja nagar taluk of Mysore district. is a pilgrim centre and Mallikarjuna temple is situated here. Mudukuthore is very nearer to Talkad. is a place where Sangam of rivers Kaveri, Kabini (Kapila) and Sphatika Sarovar can be seen. Agasthyeshwara temple, monuments belonging to Ganga, Chola, Hoysala and Vijayanagar periods can also be seen. Shivarathreeswara math, triple shrined Mahadeshwara temple are situated here. The muth belongs to famous JSS (Jagadguru Sri Shivarathreeswara) Institutions. You must stay minimum Four days to visit all the places nearer to Mysore. One day to visit Mysore place, Chamundi hill and Brindavan gardens. One day to visit Somnathpur, Thalakkad, Shivana samudram. One day (starting early hours) to visit MM Hills and BR Hills. One day to visit Nanjangud, Himad Gopalaswamy Temple and Bandipur. I want 2 know da imp places only in mysore. and ebst amusement parks and waterparks in mysore.